97-04 Corvette C5 Getrag Rear Differential 2.73 Ratio Aa6417 [[Stock #]] M7198-ASHOP GM ALL USED PARTS WILL HAVE NORMAL WEAR AND TEAR. Description This is a set of (2) Genuine GM rear differential side cover output shaft seals for your: 1997-2004 Chevrolet C5 Corvette. 2005-2013 Chevrolet C6 Corvette. 2004-2009 Cadillac XLR. Application 1997 1998 1999 2000 2001 2002 2003 2004 Chevrolet C5 Corvette. 2005 2006 2007 2008 2009 2010 2011 2012 2013 Chevrolet C6 Corvette. 2004 2005 2006 2007 2008 2009 Cadillac XLR. "Timken Pinion Bearing --. Condition : New. Therefore all implied warranties that may apply to your part are limited to the duration of this written warranty. Each warranty gives you specific rights, and you may have other rights which vary from state to state. "Timken Pinion Bearing Race --. Notes Location : Rear, Outer. Location : Rear. Condition : New. The warranty is subject to the General Warranty Limitations below. Limited Warranty Coverage Policy. Part Number: 387A. Established in 1959! Left differential side cover for 1997-04. 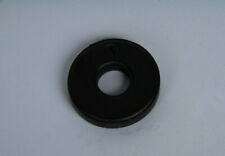 Cover has pre-installed Axle Seal,O ring and needle bearing. GM Part Number is 12458145. Part Number: 12458080. Interchange Part Number : 12458080. Part Numbers: 12458080. Mkt_State_Warranty_DLR_US : 24 Month / Unlimited Mile Limited Warranty on parts sold on or after 04/01/18. To confirm that this part fits your vehicle, enter your vehicle's Year, Make, Model, Trim and Engine in theCompatibility Table. LOCAL PICKUP. IN BOWDON, GA. 10 MILES OFF I 20 WEST LAST EXIT IN GA. LH= DRIVER SIDE RH= PASSENGER SIDE. USED PARTS ARE AS PULLED. WE DO NOT CLEAN THEM UNLESS NOTED. GM Part # 22173172. Alternate GM part # 22178940. Interchange Part #: 22178940. This is a used rear differential transmission mount for 1997-2004 Chevrolet Corvette C5 vehicles. Replace your old, worn mount with this factory GM part. LKQ SKU: LKQ720 ~207631015 CRR01379A. Includes housing and all internal components. This is NOT a manufacturer part number, and can be disregarded. We do our best to prevent these issues from happening and apologize for any inconvenience it may cause.